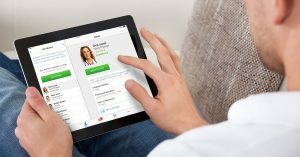 The Advisory Board Company, a consulting best practices firm, recently interviewed several health systems who are at the forefront of telehealth adoption to gain insights on telehealth adoption, acceptance and use cases. There are essentially two camps of telehealth adopters: vision adopters and business case adopters. These two groups are primarily separated by differing expectations regarding the return on investment and alignment to corporate strategy. Organization-wide recognition that DTC telehealth plays a vital role in the changing reimbursement landscape and growing role of consumerism in healthcare. 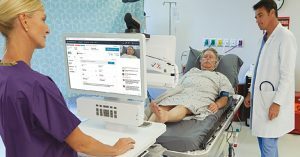 Believe that telehealth provides a competitive advantage for one or more key departments. Greater focus on strategic benefits in access, quality and patient experience versus immediate financial return. Require a positive direct financial return or a clear path to in-direct financial return. Focus on provider innovation for the next set of use cases and a willingness to experiment with simultaneous use cases. Focus on use cases that are expected to provide a positive return on investment in the short- or medium-term. 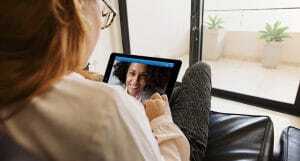 A key insight that emerges from these telehealth pioneers is their deliberate and extensive efforts to promote telehealth both internally to their providers and staff, as well as externally to consumers. These insights provide health systems with a glimpse into telehealth utilization by early adopters. As telehealth continues to evolve, we can expect these industry pioneers to set more standards for future innovation and growth. Interested in learning more about adopting telehealth? Check out our webinar with The Advisory Board on Unlocking the value of Direct-to-consumer telehealth. Note: The Advisory Board Company is a partner of American Well.